The Tyldesleys' close connection with the Stanley family included some links by marriage. Richard Stanley, the grandson of Henry Stanley fourth Earl of Derby via a natural son, married Mary Tyldesley, daughter of Lambert Tyldesley of Garrett Hall. 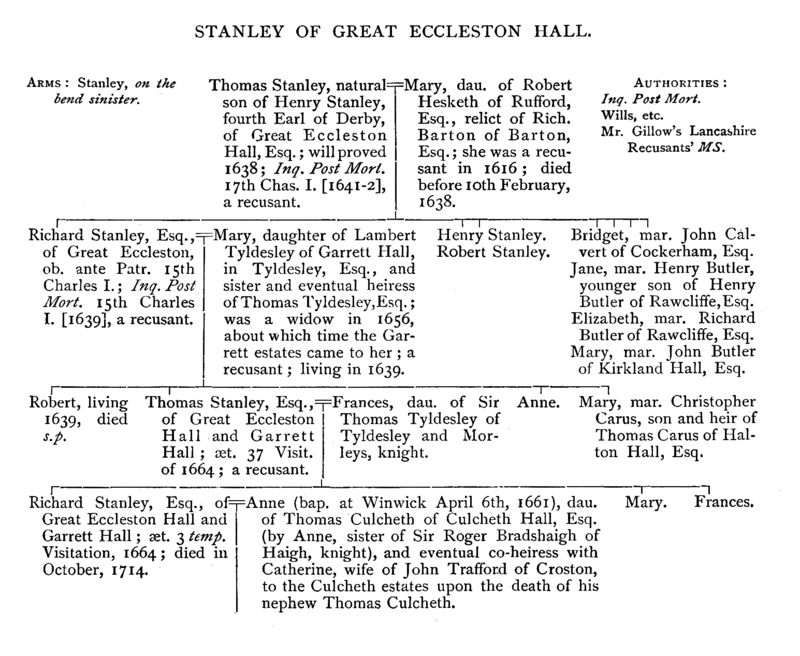 And their son, Thomas Stanley of Great Eccleston Hall, was to marry Frances Tyldesley. Frances Tyldesley was the daughter of the famous Cavalier. Sir Thomas Tyldesley 1612-1651 and Frances Tyldesley née Standish 1616-1691 are believed to have had at least three sons and seven daughters.